The Fun Cheap or Free Queen has hit the magazine pages! 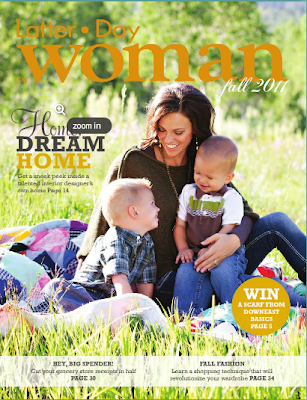 Check me out in this month's edition of Latter Day Woman magazine. Click HERE to see it. Myself and the Krazy Coupon Lady were interviewed to show how we save BIG TIME in the grocery store. She is a coupon-er, I am a deal shopper. As all articles do, they had to cut and re-word the interview; that is to be expected. Unfortunately a few key points might have been missed. I just want to expand on a few things quickly. The first thing I must mention is that couponing is great, it's just not for me. C) want to save money on groceries and cut down on food expenses. The beauty of my method is that if you love coupons, you can integrate couponing in and save EVEN MORE than if you just did coupons or deal-shopping alone! With deal-shopping, LOSS-LEADERS ARE KEY. What do I mean by a loss-leader? Each week (most) grocery stores put items on sale that are priced so low, they actually lose money on them. It's still beneficial to them because it brings you into their store, where you will (most likely) buy other items. Before I go shopping, I make sure to notice the loss-leader items. Those are the items to stock up on! You can use dealstomeals.com like I sometimes do (they help find the deals for you) or you can simply look at the store's ads that you get in the mail (or online). The deals on the front page of store's ads are typically their best deals for the week. Once I find the amazing deals, I stock up on them using price-matching. This is where convenience comes in. By price-matching at Wal Mart you take advantage of any other store's prices, without having to shop at multiple stores! So I get the loss-leader pricing of the other stores, all at Wal-Mart. Note: If you don't have a Wal-Mart near you, you could certainly just choose a store with the best deals that week and stock up on them at the particular store. You don't even have to have the ad with you! You simply say, “tomatoes are $0.49/lb at Smith's this week” and they will match it. Once I take advantage of the good deals, I plan my week's meals around the items so they get used or store (or freeze) the surplus for another time. 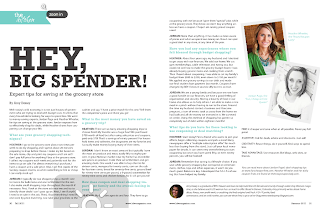 I spend about 5-10 minutes “prepping” before I go shopping, do about 2 big shopping trips a month, and save like crazy. I'm too lazy to coupon, and frankly, I think I get healthier items for better deals WITHOUT using coupons. That's simply my opinion, though! I plan to make a video soon of the literal “how-to's” of deal shopping, so I will get that posted soon. I hope you enjoy the article, I'm excited to share a bit of knowledge with the world! $20 to Whole Foods for just $10! I have found that at Wal Mart though if the deal is super good at another store and they have to price match close to 50% of the value of the item, you have to have the ad. Ran into this a couple of weeks ago and the ONLY way they price matched it was because I did have the ad. It is one of the only times it has happened to me, but I was a tad annoyed. The clerk said that when it is a deep discount you have to have the ad. I haven’t researched WALMARTS official policy yet. If I price match can I still use my coupon against the price match and get a lower cost then the match?